Ramadan can be a chance to indulge in your favorite foods. It’s the least you deserve after a day of fasting, right? On the other hand, it can also be the perfect opportunity to begin the new health body was thirsty. 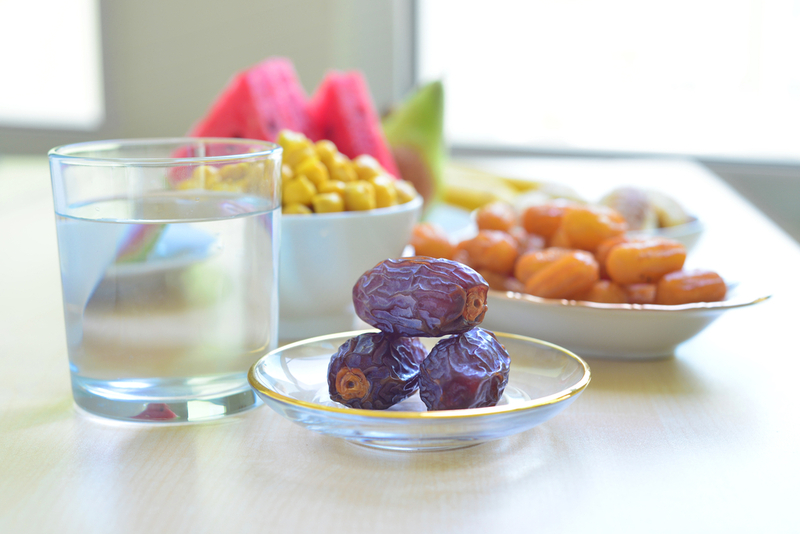 If you want to lose weight this Ramadan, simply follow these six must-dos! Keep in mind that beverages containing caffeine such as coffee or black tea do not count and it would be best to avoid these diuretic drinks together. Instead, herbal teas are an excellent alternative to water and can help your digestion. Break your fast with weight loss foods that are high in fiber and protein that will stabilize your blood sugar, kill hunger and prevent overeating so you can stay in the amount of calories you need to lose weight. In Ramadan, your metabolism slows down and your energy needs decrease as a result. The iftar meal isn’t supposed to make up those hours you spent without food. Forget that you haven’t eaten all day and imagine you have sat down for your dinner meal and eat accordingly. Break your fast with dates as they are a quick source of the sugar your body needs after a fast. You don’t need to have more than one date as dates are quite high in sugar. Then, go for a small portion of soup, such as a vegetable or lentil soup, and avoid cream based soups. Follow it with a mixed vegetable salad and limit the amount of olive oil in the dressing to 1-2 teaspoons. Skip all other appetizers including the carbohydrate rich ones. When you are done with your appetizers, it is important to take a break. You don’t want to overwhelm your digestive system. Complete your prayers, take a five minute walk, or hold a conversation. When you’re ready to resume your meal, choose only one main dish, choose wisely and avoid fried dishes, make sure it is balanced in carbs and protein, and most importantly control your portions. It’s true that your “eating hours” are quite limited this year, but this doesn’t give you an excuse to forgo your suhur meal, the pre-dawn breakfast before the fast. Skipping your suhur will get you hungrier the next day and you will end up overeating for iftar. Fasting is not an excuse for us to sleep all day or be lazy. In Ramadan, you should maintain your usual daily activity level to a certain extent, but do avoid the sun and heat at its peak. Remember that you’ll be burning more fat than ever on an empty stomach. After you break your fast, aim for 30 min of vigorous exercise a day that you can do from home such as burpees, lunges, sit-ups and squats. Ask your trainer for a personalized home plan that is suitable for you. It seems the number one cause of weight gain in Ramadan is not the food you eat for iftar. 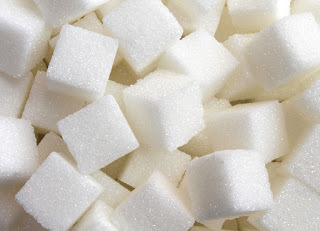 You guessed it, it’s the sugar you consume from Ramadan beverages and sweets. This Ramadan, challenge yourself to only eat naturally occurring sugar such as fruits, dried fruits, molasses and honey. This will be life changing and oh so effective in ensuring a nice surprise the next time you stand on the scale. I highly recommend you to save your high intensity workouts or any workout that makes you sweat like night intervals where you can drink all the water you want. You might be able to gargle or swish water in your mouth as long as you do not swallow under the rules of Ramadan but check with your spiritual advisor before doing this. Avoid eating and drinking things that makes you thirsty like salty foods, sodas, coffee and tea. Avoid diuretic foods that you dehydrated. Take a cold shower during the day. Stay in the cooler or air-conditioned rooms as much as possible. Wear light clothing that attract the habit of too much heat. Try not to do high intensity exercises or anything that makes you break a sweat and you can not because of your job or personal circumstances, and the other 6 tips should help you keep your levels thirst in check. 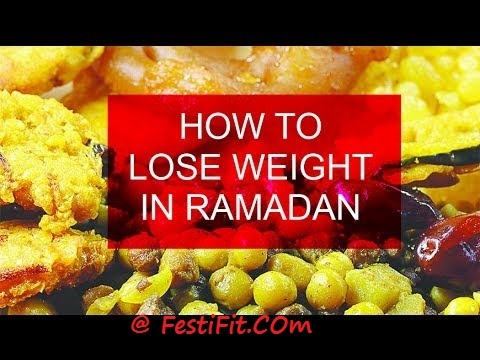 The only way you’ll gain weight during Ramadan is if you eat too much (eat too many calories) and make a habit of binging on bad foods at Iftar. Tags: Loss weight in ramadhan, lose weight in ramadan tips, weight loss tips in ramadan, Loss weight in ramzan. How Long is Ramadan, When does the fasting end?